Our Kind Of Vegas tickets are on sale now! Go get 'em! Greatest show ever. The vocals are through the roof. Musicians also very awesome. 1st time I heard this voice I had goosebumps. Each time after as a well. Eerily beautiful voice ❤ Incredible vocals. This was my daughter's first concert and it was an amazing experience!! The performances were all great, the people working at the amphitheatre were very kind and helpful, and the fans were great, too! We love Lady Antebellum! This was one of the best concerts I’ve ever been too!!! Lady Antebellum and Darius Rucker as the opening act were so amazing. 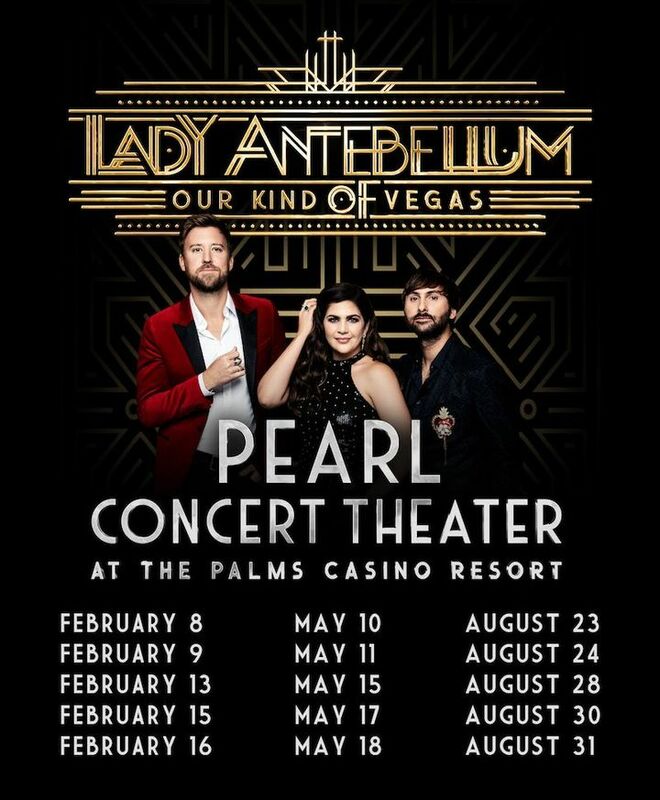 I haven’t really listened to a lot of Antebellum concerts but the songs that I have heard have always been my favorite and I always thought they would be cool to see live. They met above and beyond my expectations!!! Loved the show! From Russell Dickerson, to Darius Rucker, and then Lady Antebellum, they were all so great! Every song was a favorite! Loved it- as always!! This was show 4 or 5 for me & they never disappoint !! If there was one negative thing, it's that they only played 3 songs ( I think) from the new album. I get that the majority of ppl wouldn't like it if they did because they aren't familiar with it yet & wouldn't be able to sing along. Die hard fans like me, would've been able to though.The tribute 'midnight rider' to Gregg Alman was a nice addition to set list!All in all it was a great show & cant wait to see them again!